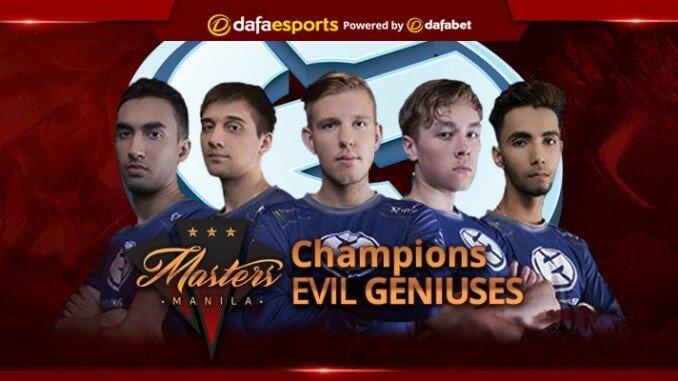 After a tense and exciting tournament this weekend, EG were crowned the champions of the Manila Masters 2017. With teams like iG, OG and Team NP in the mix, it was bound to be a hard-fought competition. But true to form, despite being eliminated in the winner’s finals by Newbee, team Evil Genuises managed to make a comeback, winning the loser’s finals for a rematch against their vanquishers, where they eventually triumphed 3-1. In game 1, EG drafted a more push-heavy team line-up, with Arteezy displaying a commanding performance on Drow Ranger, pushing against Newbee’s defence with extreme effectiveness. Learning from their last match-up, EG were more careful to avoid the big teamfight ultimates thrown out by the enemy team that cost them so heavily before. Still, Newbee were very much in the game, until a messy teamfight in the top lane decided the round’s outcome: kpii on Tidehunter for Newbee whiffed his Ravage, giving EG the opportunity to dominate the game. It was only a matter of time until Newbee were forced to surrender, thanks to the near-flawless pushing led by Arteezy. Although it was the first game EG had earned against Newbee in the entire tournament, the Chinese team stayed to their guns in game 2 – though notably kpii switched to his trademark Naga Siren, despite her recent nerfs, and uuu9 to Ursa Warrior. EG, meanwhile, brought in UNiVeRsE’s Nature’s Prophet to aid their pushes in place of Drow. This game wasn’t so decisive, with numerous exchanges back and forth throughout the lanes, each team trying to deny the other the chance to get any momentum going. EG were eager to prevent uuu9 from getting an Aegis, but were too busy elsewhere to prevent him for long. Although EG’s Arteezy got his Lone Druid items promptly, his over-eagerness to push led to Newbee getting a lot of gold and XP from his bear. This kept EG on the back foot, and Newbee managed to slowly grind out a push to victory, tying the finals up again. In game 3, EG tried out a more aggressive pushing strategy, with a switch to Razor from Arteezy. After a slightly rough start, EG were quickly able to push forwards and claim two towers. 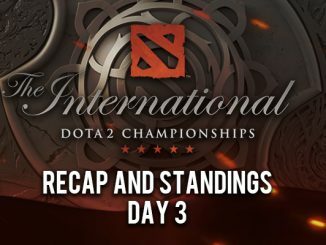 Although the game looked to be over, Newbee took a gamble and tried to sneak out a Roshan kill and grab the Aegis – which they shockingly managed, albeit barely. With a strong comeback, they began to gradually push back against EG, dominating the teamfights and focusing Razor heavily. EG’s solid defence at the high ground gave them some room to breathe – and denied a gank on Zai’s enchantress – allowing them to steal another Roshan kill and push on to victory. On the verge of victory, EG opted for a combo-based team, with Dark Seer, Kunkka and Crystal Maiden, whilst Newbee hoped to secure a win through teamfights with Tidehunter and Outworld Devourer. Zai’s Kunkka sealed the deal, though, with an absolutely incredible display of skill and aggression with the hero, pressuring the enemy and letting EG take an early lead. Despite Newbee’s picks, EG still dominated the teamfights, taking advantage of their greater freedom of movement and Zai’s denial of the Glimpses cast by Faith’s Disruptor. Newbee simply couldn’t recover, and soon threw in the towel, giving the victory to EG – and the impressive $125,000 share of the prize pool. Though many expected SumaiL to be the strongest of EG’s players, Zai’s performance in the final game was truly extraordinary, showing great co-ordination and confidence in his play, messing with Newbee’s game plan enough for his team to capitalise. Meanwhile, for Newbee, kpii’s fearsome Tidehunter and menacing Naga Siren were enough to see him as the biggest threat posed by the team – despite the crucial Ravage failure in the first game. With the Internationals coming up, this tournament is a useful glimpse of the meta for the big event. Crystal Maiden and Enigma were popular bans, as well as Io, Treant Protector and Nyx Assassin. There seems to be more emphasis on off-laners than the prior patch. Although Sven wasn’t as popular a pick as anticipated, Naga Siren seemed strong despite her recent nerf, thanks to the increased creep spawn, but overall the matches were quite well rounded. 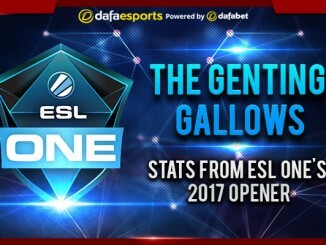 Over the course of the tournament, 87 different heroes saw play – the most common picks being Clockwerk, Bristleback, Dark Seer and Nyx Assassin. Whilst this indicates that many heroes are balanced and viable now, it makes it quite tricky to predict what sort of team compositions we’ll be seeing in the coming weeks.